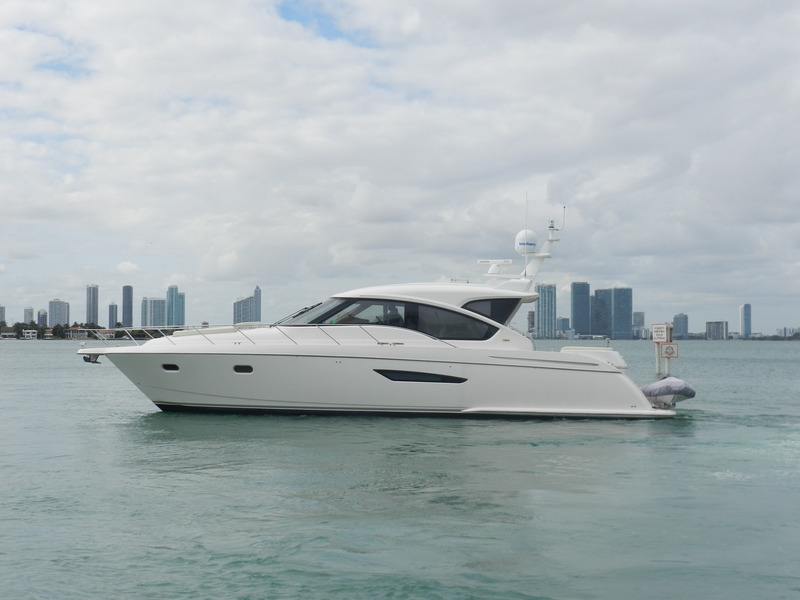 Tiara Yachts is a family enterprise based in Holland, Michigan with a rich legacy in providing quality cruising and fishing yachts from 30' to 58' for customers worldwide desiring the best in class. 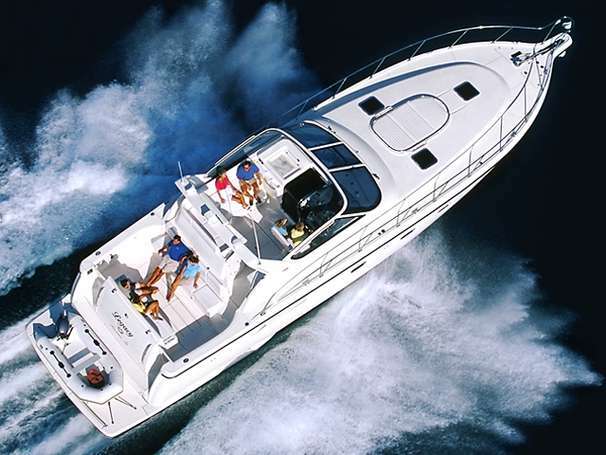 Tiara models include both fishing and cruising boats ranging from 29–58 feet. Worth Noting: The Tiara 3100 is one of the all-time best-selling fishing boats ever produced. Tiara 2900 Open 1993 - Current 28' 9" 11' 4" 2' 8"
Tiara 3000 Open 2007 - Current 30' 6" 12' 6" 2' 8"
Tiara 3100 Convertible 1982 - 1992 31' 3" 12' 0" 2' 11"
Tiara 3100 Open 1979 - 1991 31' 3" 12' 0" 2' 9"
Tiara 3100 Open 1992 - 2004 31' 6" 12' 0" 3' 0"
Tiara 3200 Open 2004 - Current 32' 7" 13' 0" 3' 0"
Tiara 3300 Flybridge 1986 - 1992 32' 10" 12' 6" 2' 8"
Tiara 3300 Open 1988 - 1997 32' 10" 12' 6" 2' 3"
Tiara 3500 Express 1995 - 2003 35' 8" 13' 9" 2' 10"
Tiara 3500 Open 1998 - 2004 35' 6" 13' 3" 3' 3"
Tiara 3600 Convertible 1987 - 1995 36' 8" 13' 9" 3' 0"
Tiara 3600 Open 1987 - 1996 36' 8" 13' 9" 2' 11"
Tiara 3600 Open 2005 - Current 36' 5" 13' 3" 3' 5"
Tiara 36 Sovran 2004 - Current 36' 4" 13' 0" 3' 8"
Tiara 3700 Open 1995 - 2000 37' 1" 14' 2" 3' 9"
Tiara 3800 Open 2000 - Current 38' 4" 14' 2" 3' 6"
Tiara 3900 Convertible 2006 - Current 39' 0" 14' 5" 3' 6"
Tiara 3900 Sovran 2007 - Current 39' 3" 13' 3" 3' 5"
Tiara 4000 Express 1994 - 2003 40' 6" 14' 6" 4' 6"
Tiara 4300 Open 2006 - Current 40' 2" 14' 9" 3' 7"
Tiara 3900 Coupe 2016 - Current 40' 10" 13' 3" 3' 4"
Tiara 4100 Open 1996 - 2002 41' 3" 14' 8" 3' 6"
Tiara 4200 Open 2003 - Current 42' 6" 14' 11" 4' 2"
Tiara 4300 Convertible 1990 - 2002 43' 2" 15' 2" 4' 0"
Tiara 4300 Open 1991 - 2002 43' 2" 15' 2" 4' 0"
Tiara 4400 Sovran 2003 - Current 43' 8" 14' 6" 4' 5"
Tiara 4700 Sovran 2003 - Current 43' 8" 14' 6" 4' 5"
Tiara Q Series 4400 2016 - Current 45' 6" 14' 11" 3' 9"
Tiara 4400 Coupe 2014 - Current 45' 6" 14' 11" 3' 9"
Tiara 5000 Express 1999 - 2003 50' 9" 15' 11" 5' 1"
Tiara 5200 Sovran 2000 - 2006 50' 9" 15' 11" 5' 1"
Tiara 4800 Convertible 2010 - Current 51' 5" 15' 11" 4' 0"
Tiara 5300 Flybridge 2017 - Current 54' 6" 15' 11" 4' 8"
Tiara 5300 Coupe 2017 - Current 54' 6" 15' 11" 4' 8"
Tiara Yachts, a division of S2 Yachts, Inc., has a rich boat-building heritage that extends over four decades. We take great pride in providing our customers with yachts of sublime quality for years of enjoyment and a high resale value. 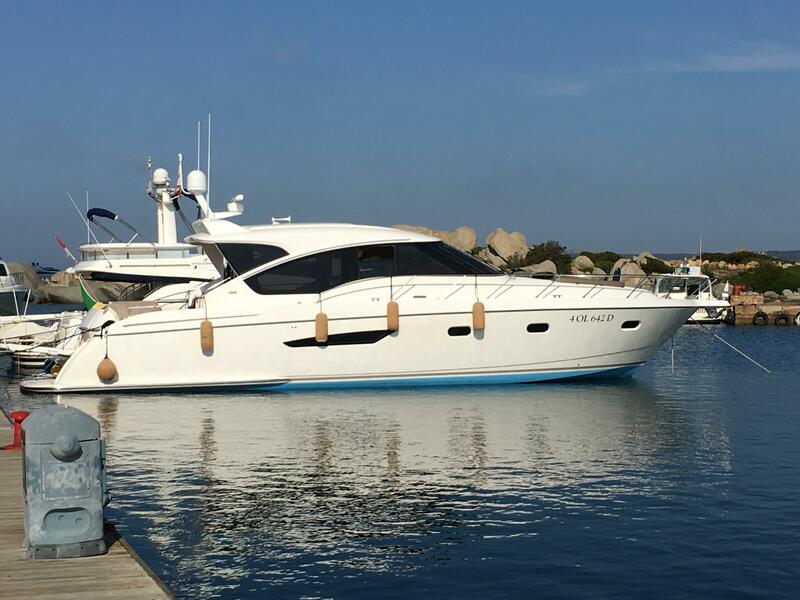 Tiara Yachts is headquartered in Holland, Michigan. 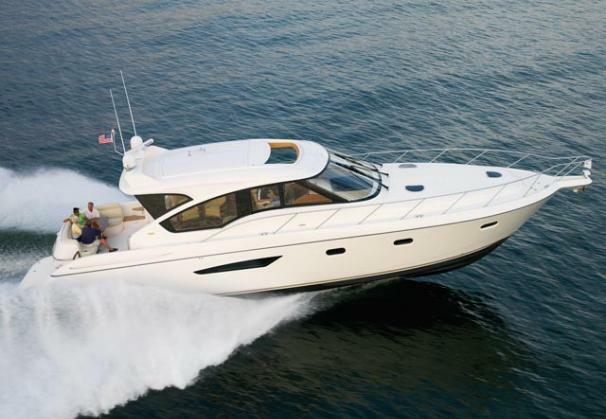 Products include Open, Sovran, Coronet and Convertible models with inboard power from 29 to 58 feet. 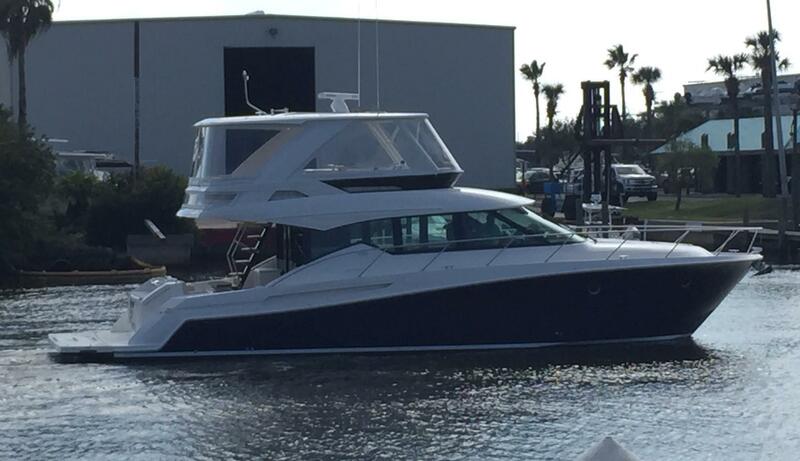 S2 Yachts also produces Pursuit Boats from 22 to 38 feet in inboard, outboard and stern drive configurations. Still built in Michigan, Tiaras are internationally recognized as being one of the finest fishing boats built in the world.